From a verified Burger King, Chef Ryan Farr. 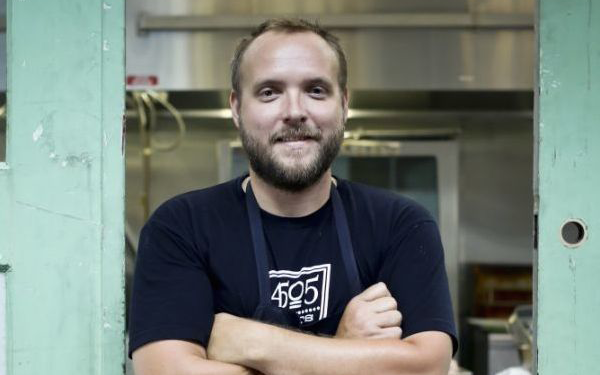 We're just going to say it: Chef Ryan Farr's burger at 4505 Burgers and BBQ is easily one of the top three burgers in San Francisco. The world, even. It's beefy in a way few burgers are, the grind is toothsome but not chewy. There's a distinct steak-y-ness to it. It's greasy but in a good way. It's not huge, but what it lacks in size it makes up for in flavor and richness. The bun is light and delicious. We know perfection is a myth that keeps us trapped in neverending cycles of its pursuit, but: it's perfect. Meat selection: Get the cleanest, freshest meat you can find. At 4505, our burger is a quarter-pound patty, so I take that to the next level by doing a courser grind than normal. It gives the patty more of a steak texture than a hamburger texture when you bite into it. Keep it simple: I love a lot of stuff on a burger, but there’s nothing like flavor-filled charred meat, good cheese, and a bun. If you want to add something fun with good texture, add some Chicharrones. Believe in your bun: We love the sesame seeds in our bun. When they are toasted, the flavor changes and you get a great texture. Texture is a big thing for me: that's why I love iceberg lettuce on a burger. Make sure you griddle the bun in butter. If you can't do that, I suggest toasting it before you assemble the burger. Sauce: You gotta have a good secret sauce. I'm a big fan of having mustard and ketchup as a base. Patty size: It's okay if it's not a monster patty. A quarter pound patty is great—it doesn't put you to sleep. Our cheeseburger is a great lunchtime burger. Cheese selection: We really enjoy having a cheese with a little funk, so we use Gruyere. It's not overpowering, but you know what you're eating. 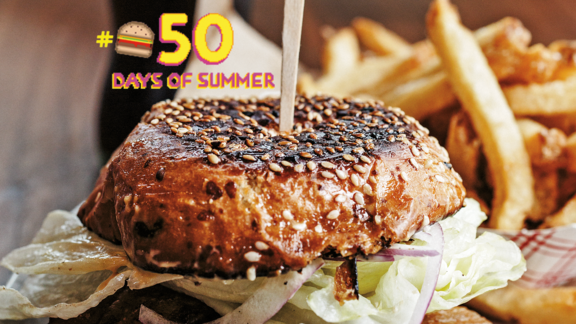 Summer wouldn't be summer without burgers. See what else we love in our guide to the last 50 days of the season. Is it actually possible to consume a burger made of mostly avocado? We found out. Michael Scelfo on his love for the burg'. It's the burger at Petit Trois in L.A. You knew it was. The good, the bad, and the over-hyped.